University of Florida, Gainesville, Florida, USA. Department of Pathology, Immunology and Laboratory Medicine. Professor of Diabetes Research, Professor Atkinson was part of one of the first group of researchers to identify the value of measuring immune responses against GAD in persons with type 1 diabetes. Professor Atkinson's research extends to understanding the immunological mechanisms underlying the formation of diabetes, with his primary research goal involving the development of an effective method for preventing and reversing type 1 diabetes. 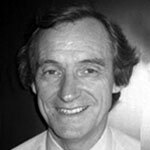 Professor Atkinson has been a member of the Scientific and Medical Advisory Board since 1997, and is a Board member in Diamyd Medical since 2018. Uppsala University, Uppsala, Sweden. Department of Neuroscience. Professor of Physiology within the Medical Faculty at Uppsala University. Professor Birnir’s research is focused on GABA signaling and the interplay between the extracellular signal molecule GABA and the high-affinity GABA-A receptors that are ion channels. The study of how these molecules affect secretion of metabolic hormones, cellular excitability and immune modulation shows how processes are of vital importance for many metabolic and inflammatory diseases like diabetes. 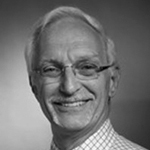 Professor Birnir has been a member of the Scientific and Medical Advisory Board since 2013. UCLA School of Medicine, Los Angeles, California, USA. Department of Molecular and Medical Pharmacology. Professor in Molecular and Medical Pharmacology. Professor Kaufman's research is focused on studies in the field of autoimmunity, particularly type 1 diabetes (T1D) and understanding the disease mechanisms in order to develop novel therapeutics in mouse models that could potentially be translated to clinical use. Using preclinical models, Dr. Kaufman’s lab helped to develop some of the GAD and GABA-based diagnostics and therapeutics for T1D that are in clinical use or are being tested in clinical trials. Professor Kaufman and his lab have shown that immune cells have receptors for GABA and that activation of these receptors can inhibit T1D, MS, rheumatoid arthritis, as well as inflammation in type 2 diabetes. In addition, Professor Kaufman and others, have shown that activating GABA receptors on the insulin-producing beta cells can promote the survival and replication of the beta cells. 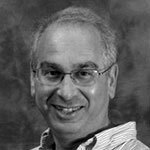 Professor Kaufman has been a member of the Scientific and Medical Advisory Board since 1996. Karolinska University Hospital/Karolinska Institute, Stockholm, Sweden, Center for Molecular Medicine. Professor of Rheumatology and Head of the Rheumatology Research Laboratory. Professor Klareskog's research is specifically aimed at the origin and treatment of autoimmune disorders. 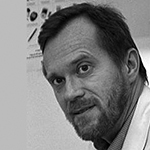 Professor Klareskog has been a member of the Scientific and Medical Advisory Board since 1996. Lund University/CRC, Malmö, Sweden, Department of Clinical Sciences. Professor in Experimental Diabetes Research, Professor Lernmark has focused his research on diabetes and at an early stage identified the antigen that later proved to be GAD. He and his colleagues were the first to clone GAD65 from human islets using biochemical methods,and was thus the first to define autoantibodies against GAD65 in patients with type 1 diabetes. Professor Lernmark was first to use molecular methods to identify HLA genes that are necessary to develop the disorder. 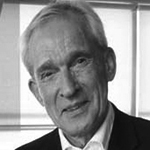 Professor Lernmark has been a member of the Scientific and Medical Advisory Board since 1996. Royal London and St. Bartholomew's School of Medicine, University of London, UK. Professor of Diabetes and Autoimmunity. 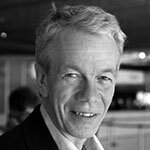 Professor Leslie has been Director of the British Diabetic Twin Study since 1982, the world's largest twin study of its type and Principal Investigator of the European Action LADA consortium. By studying twins, Professor Leslie has been able to show the possibilities for predicting and preventing autoimmune diabetes. 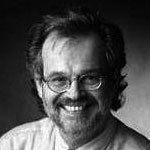 Professor Leslie has been a member of the Scientific and Medical Advisory Board since 1999. Mitokine Bioscience LLC, Hancock, Maine, USA. Dr. Ligon received her medical degree from the University of Arkansas for Medical Sciences in the United States She trained as a Neurologist at Tufts Medical Center in Boston and also completed her Ph.D. in Neuroscience there. Dr. Ligon has dedicated her research career to demonstrating the critical role GABA plays in maintaining glucose homeostasis. Her basic and clinical science has revealed that restoring GABA is crucial, in the setting of diabetes, to regenerate beta cells, eliminate the immune pathology and restore long-term health. Dr. Ligon has been a member of the Scientific and Medical Advisory Board since 2013. Professor of Medicine and Director of the Division of Autoimmune Diseases. . Professor Roep has focused on the role of autoreactive T cells in diabetes by assessing human cellular immune responses, autoantigen identification, and islet allograft rejection and the design and immunological monitoring of immunointervention strategies in clinical type 1 diabetes. 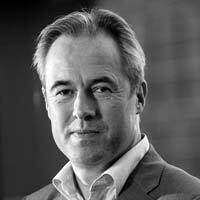 Professor Roep has been a member of the Scientific and Medical Advisory Board since 2006. UCLA School of Medicine, Los Angeles, California, USA. Department of Integrative Biology and Physiology. Managing Director of MRSSI Inc. MRSSI advises the High Q Foundation and CHDI, organizations dedicated to finding therapeutics for Huntington's disease. Scientific Director Emeritus of the Hereditary Disease Foundation, which organized the identification of the gene that causes Huntington's disease. Professor Tobin has specialized in the use of molecular methods for synthesis, function and breakdown of GABA, which serves as the major inhibitory signal in the brain and the pancreas. Professor Tobin has been a member of the Scientific and Medical Advisory Board since 1996. Professor Wang is a Distinguished Professor at the Department of Endocrinology and Metabolism, Huashan Hospital, and the Deputy Director at the Institute of Diabetes Research, Fudan University. Professor Wang also serves as Senior Scientist in the Keenan Research Centre of the Li Ka Shing Knowledge Institute of St. Michael's Hospital in Toronto, and as Staff Scientist in the Division of Endocrinology and Metabolism, St. Michael's Hospital. Professor Wang and colleagues were first to demonstrate that GABA has dual actions: beta cell replication and anti-inflammation and showed that GABA treatment prevented and partially reversed type 1 diabetes in mice. 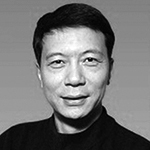 Professor Wang has been a member of the Scientific and Medical Advisory Board since 2013. Karolinska Institute, Stockholm, Sweden. Department of Medicine. Dr Sanjeevi heads a research group “Diabetes Immunology” at the Center for Molecular Medicine in Karolinska University Hospital, in Stockholm. Dr. Sanjeevi is also Senior Adviser to the Innovation office of Karolinska Institute. Dr. Sanjeevi’s research focuses on developing novel biomarkers for early identification of autoimmune diabetes as maternal-fetal interaction. Dr. Sanjeevi has been a member of the Scientific and Medical Advisory Board since 2015. Michael Alvarsson is a chief physician and head of physicians at the Department of Endocrinology, Metabolism and Diabetes at Karolinska University Hospital and an Associate Professor at Karolinska Institutet. Doctor Alvarsson has extensive experience from clinical studies in type 2 diabetes having served as the principal investigator for numerous multinational clinical studies. 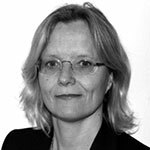 Dr Alvarsson’s clinical interests include FFA treatment of type 2 diabetes, diabetic nephropathy and treatment of cardiovascular risk factors at diabetes. His research interests include pathogenesis of type 2 diabetes and metabolic syndrome in type 1 diabetes. 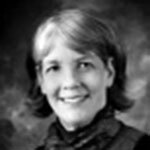 Dr. Alvarsson has been a member of the Scientific and Medical Advisory Board since 2016. Daniel E. Furst is the first Carl M. Pearson Professor of Medicine at the University of California, Los Angeles (UCLA), Medical Center. Dr. Furst received his MD from Johns Hopkins University and two fellowships (Rheumatology in clinical pharmacology). Dr. Furst has been on a number of national committees concerned with rheumatic therapeutics. He recently was co-leader of the American College of Rheumatology (ACR) recommendations for the use of non-biologic and biologic therapies in rheumatoid arthritis and is a Master of the ACR. Dr. Furst has published more than 800 articles and 15 books, including more than 430 research articles. 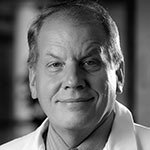 Dr. Furst’s areas of research interest include the clinical pharmacology of anti-rheumatic drugs and biologics, and the pathophysiology and treatment of systemic sclerosis. Professor Furst has been a member of the Scientific and Medical Advisory Board since 2016.